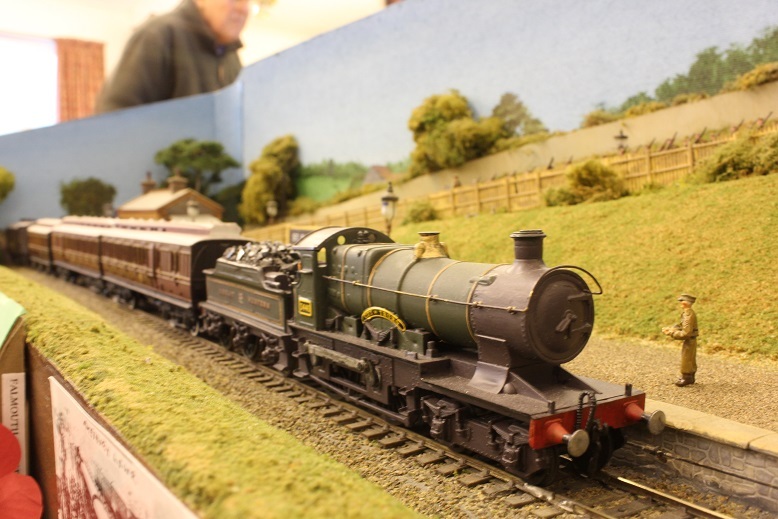 Once again we held a pre Christmas Model Railway Exhibition on the 29th November 2014 at Budock Village Hall, Budock Water, Falmouth. 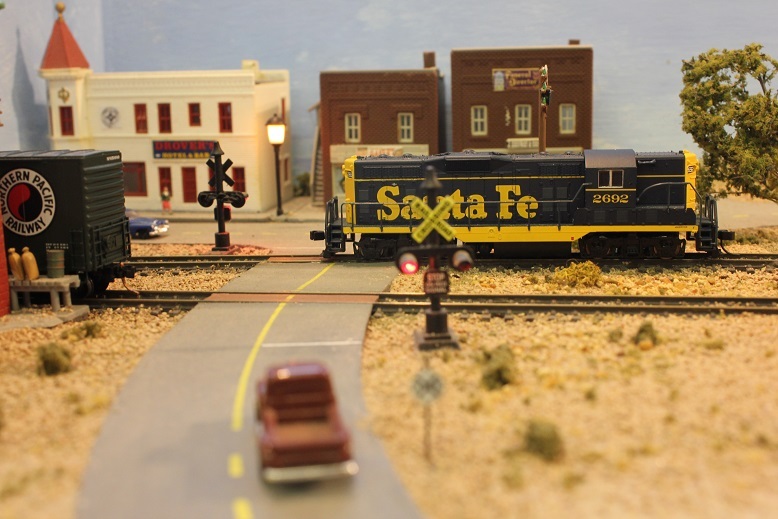 We had many various layouts including the Society's Z Gauge, our own society members layouts as well as guest layouts. 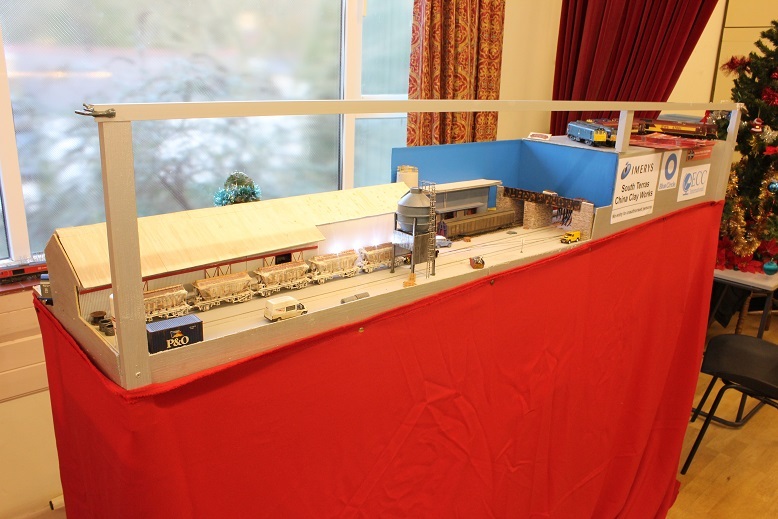 We would like to thank everyone who came along to visit and support us. 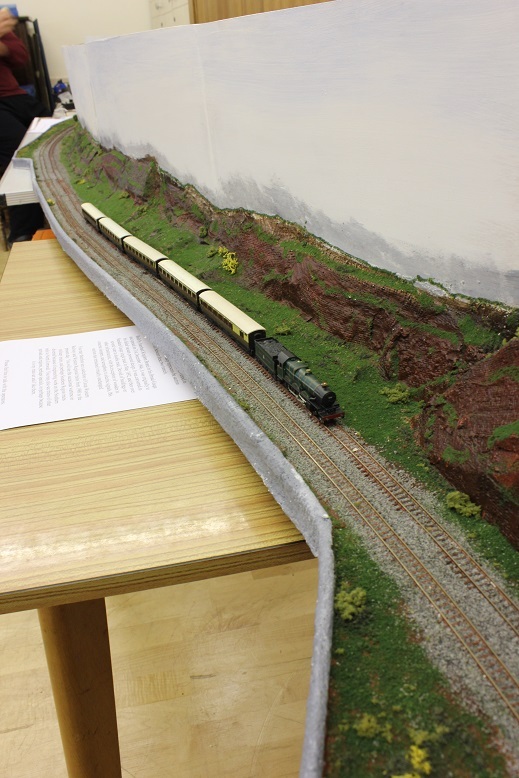 We would also like to thank Great Western Scale Models for providing us with trade support, the Cornwall Railway Society for their book stall, Nigel Spate for his modelling demonstrations and the ladies in the kitchen providing us with catering and the rest of the society members who put in the effort into making the exhibition a success. 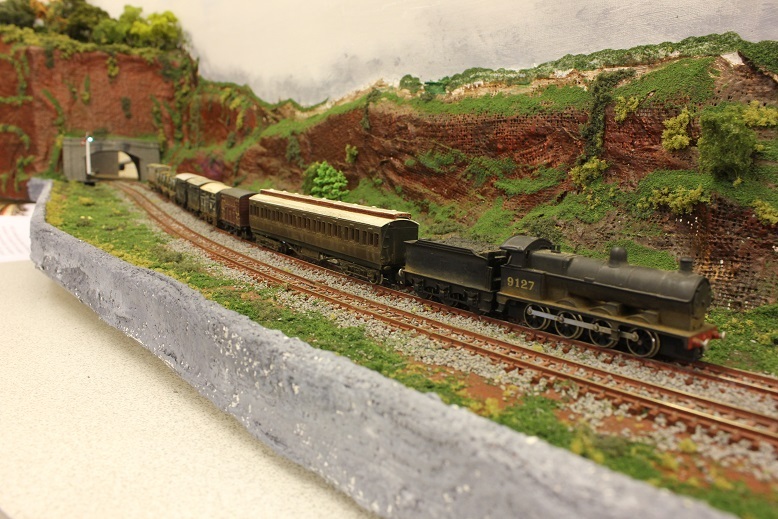 Bear Mountain (Z Gauge) - Falmouth Society of Railway Modellers. 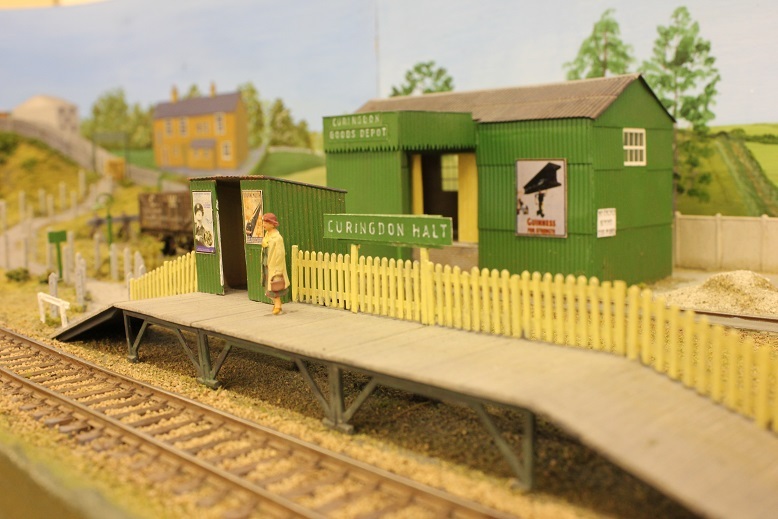 Curingdon (OO Gauge) - Dave Curtis. 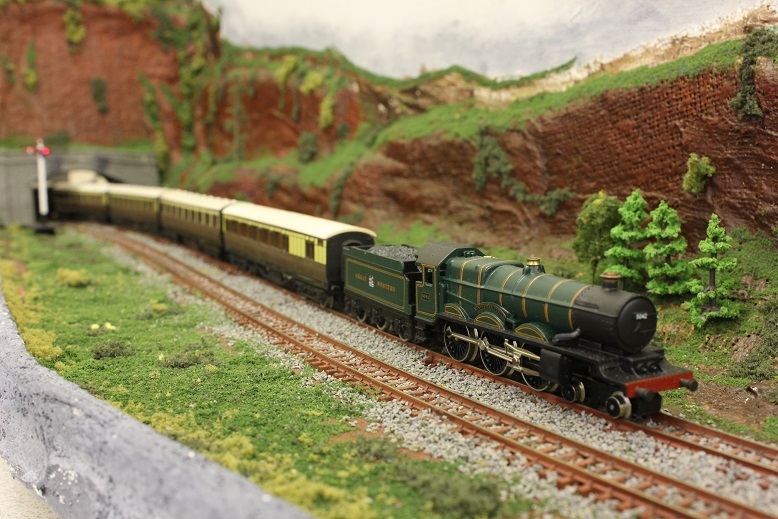 Dawlish (N Gauge) - John Tremelling. 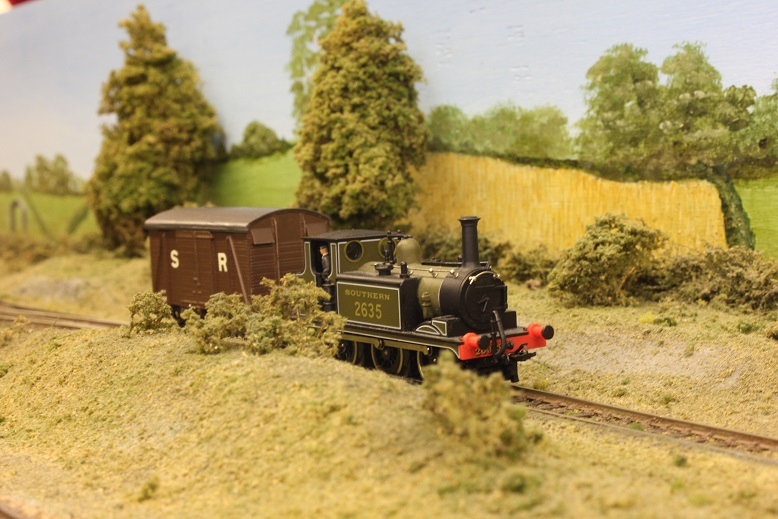 Millside (0N30 Gauge) - Derek and Richard Martin. 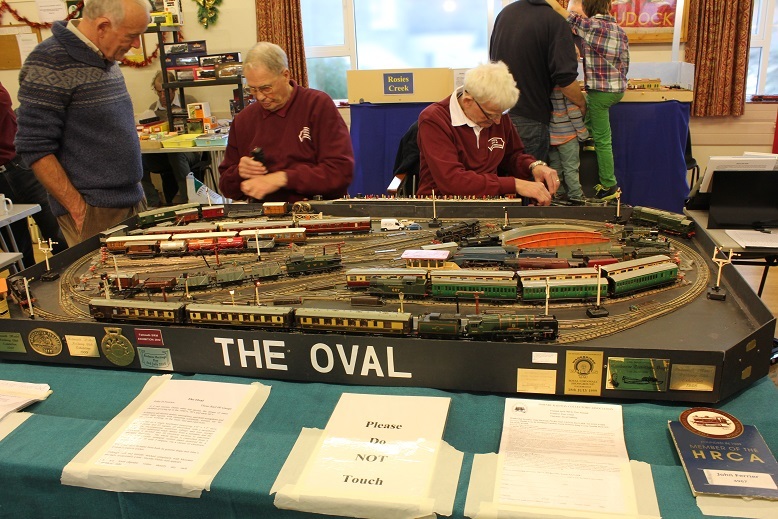 The Oval (3 Rail OO Gauge) - John Ferrier. 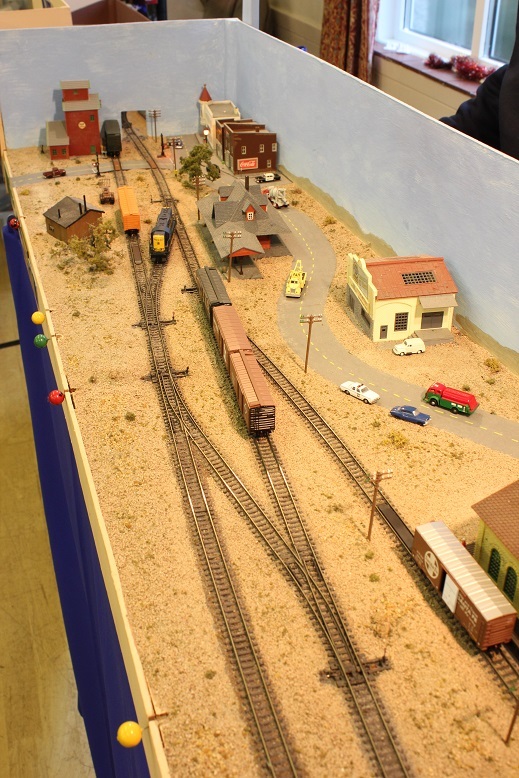 Rosies Creek (N Gauge) - Tony Furze. 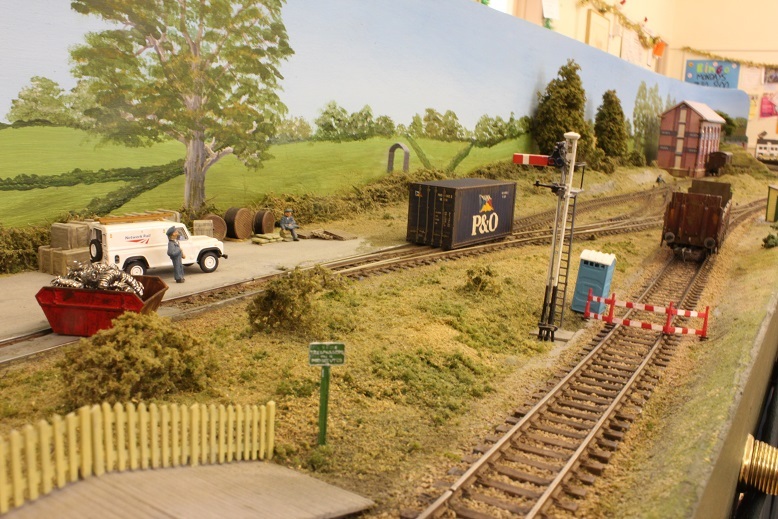 On the Friday night while setting up a few society members (they know who they are) decided to modernise Dave Curtis's Curingdon layout by adding a PW blockade, with a barrier across the track just after the halt and Network Rail Vans in the yard. This must have been an over night work as it was still there on the Saturday morning before the exhibition opened. 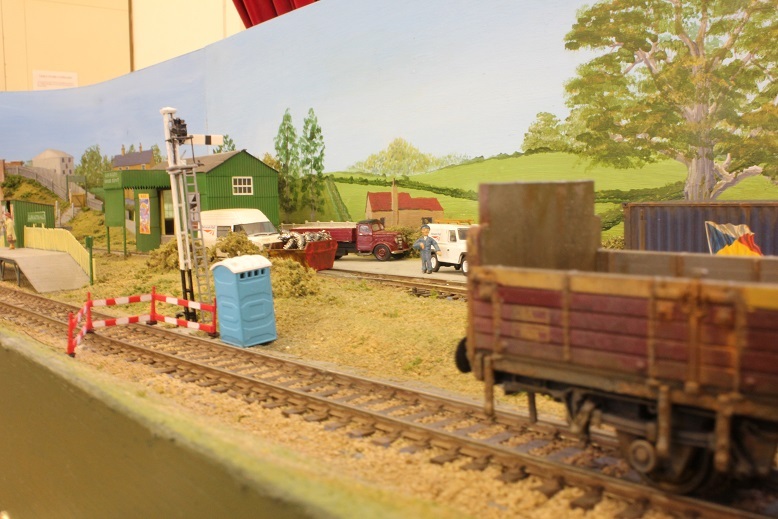 Looking from the halt, the yard not very accessible for rail vehicles with a container and skip across the track. 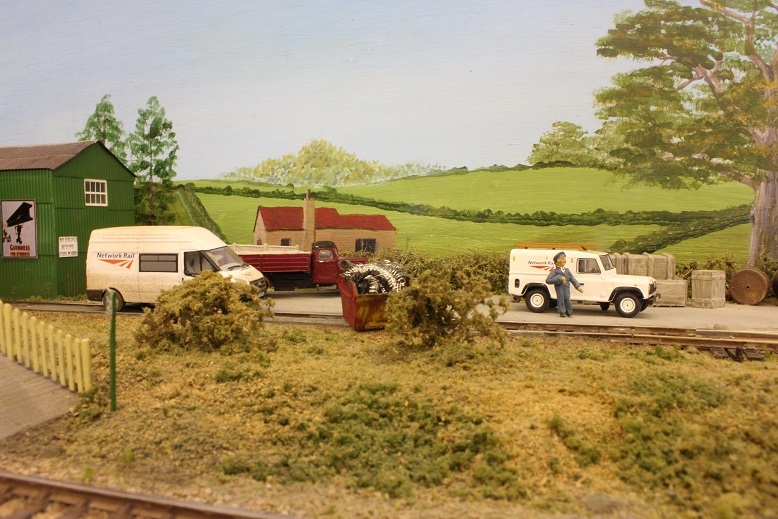 Network Rail Vans in the yard. 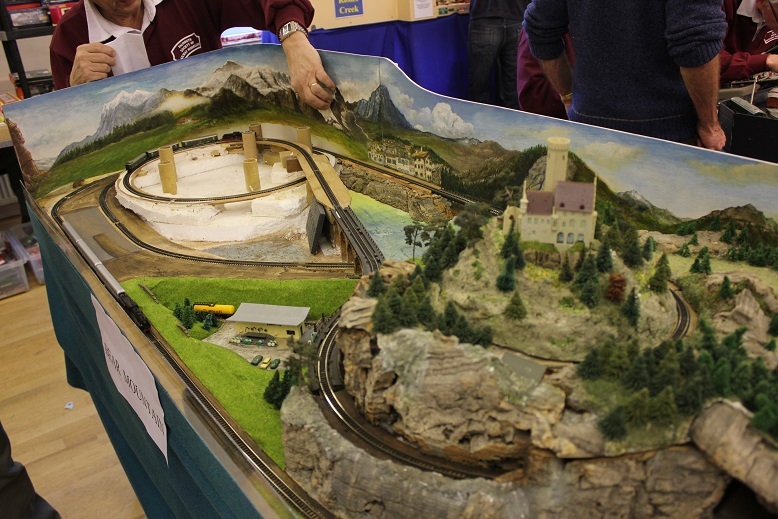 An overall view of Bear Mountain. A view of the castle on top of Bear Mountain. 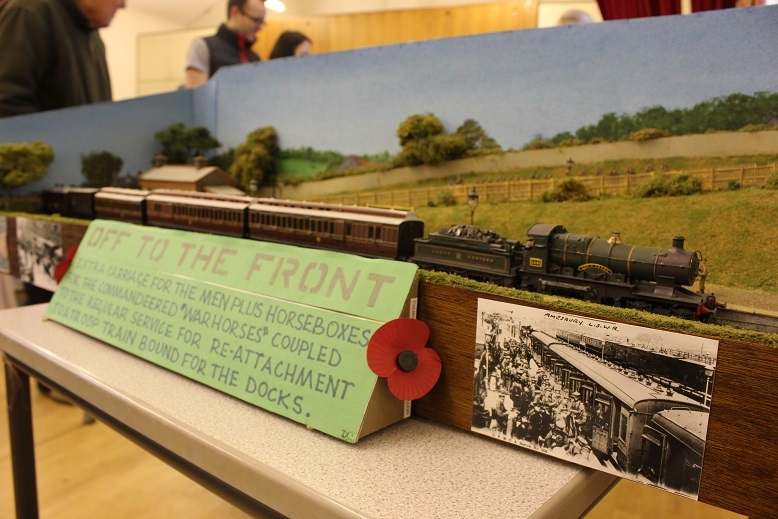 To mark the Centenary of the start of the great war we created a small diorama to replicate the part that railways played in taking the troops to the docks. City of Truro waits in the station as the soldiers can be seen parading to the train in the background. 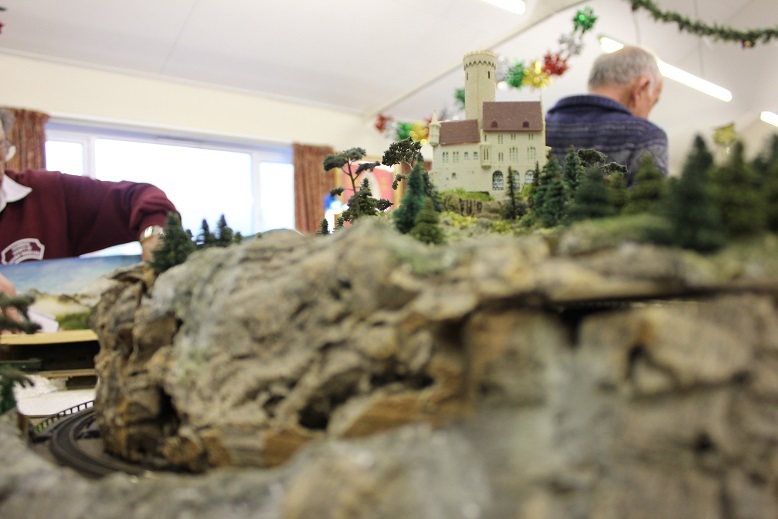 An overall view of St. Budock. A Terrier No. 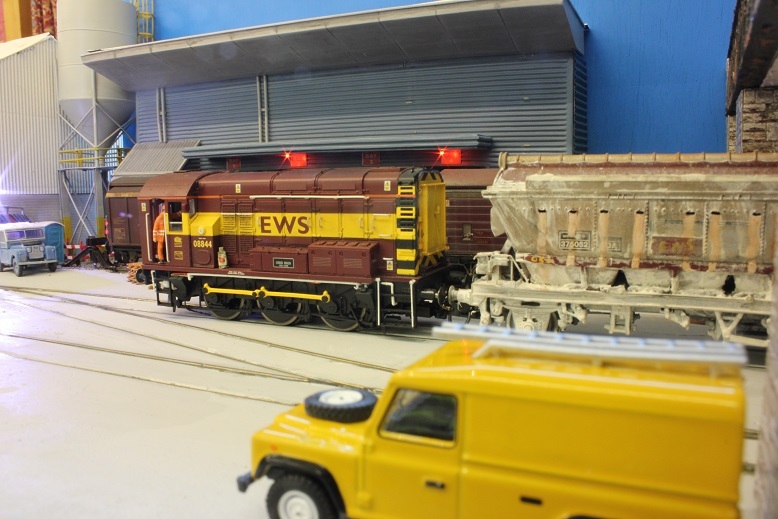 2635 shunts a vent van in the yard. The view along the sea wall. 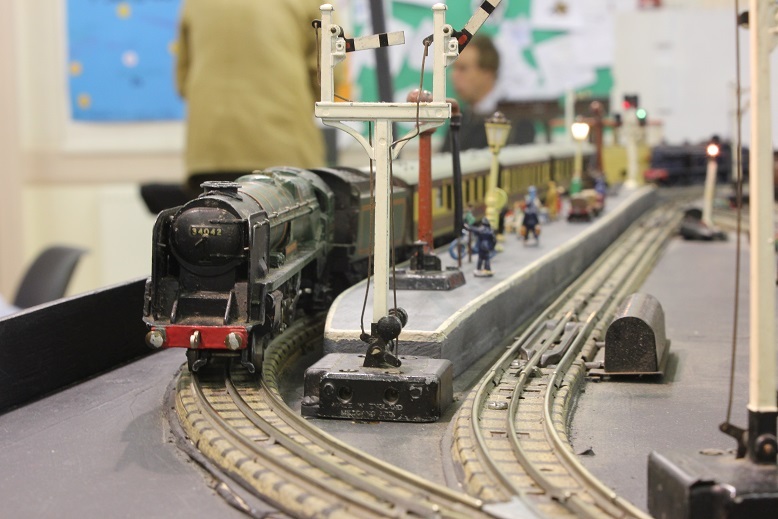 Sadly due to sickness Derek and Richard were unable to attend the show, however we all wished them well for next time. 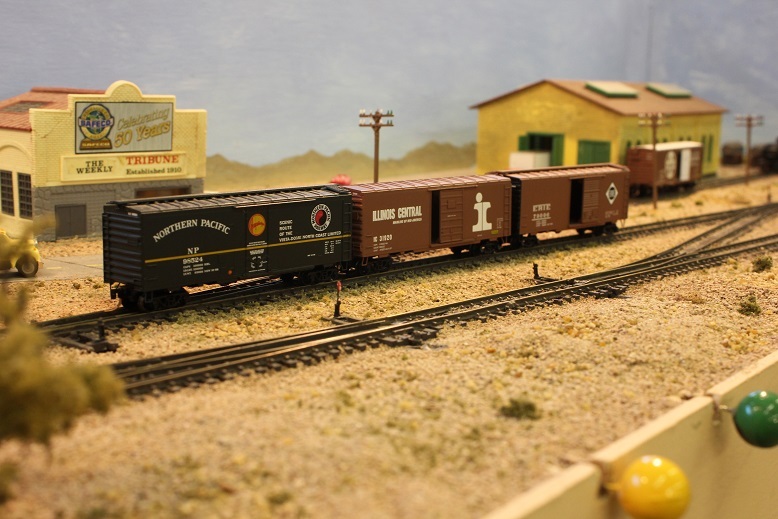 Box cars waiting to be shunted in the yard. 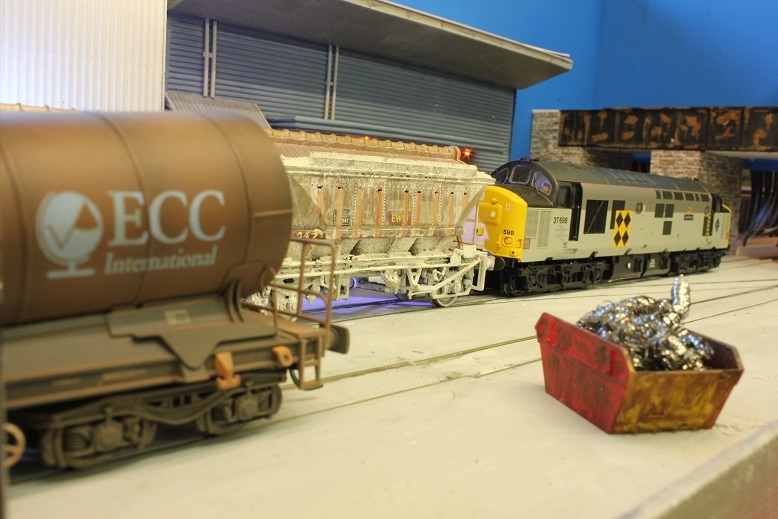 08661 shunts cement wagons through the loading hopper. 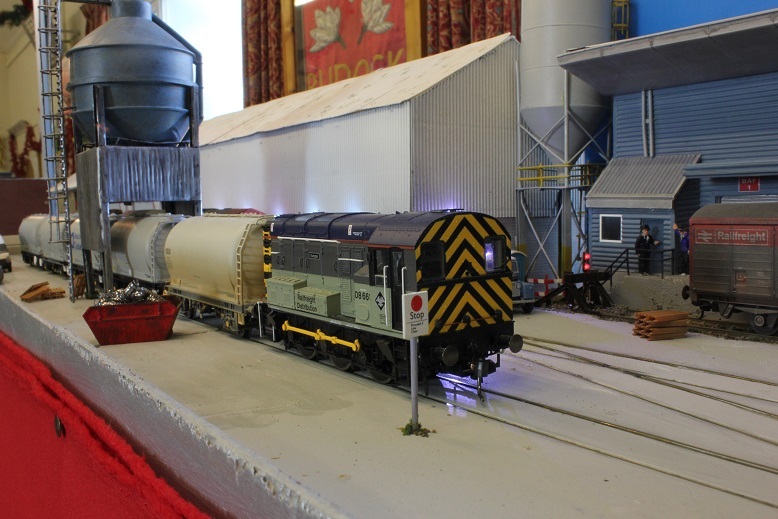 08844 arrives with a set of CDA china clay wagons for South Terras clay works. 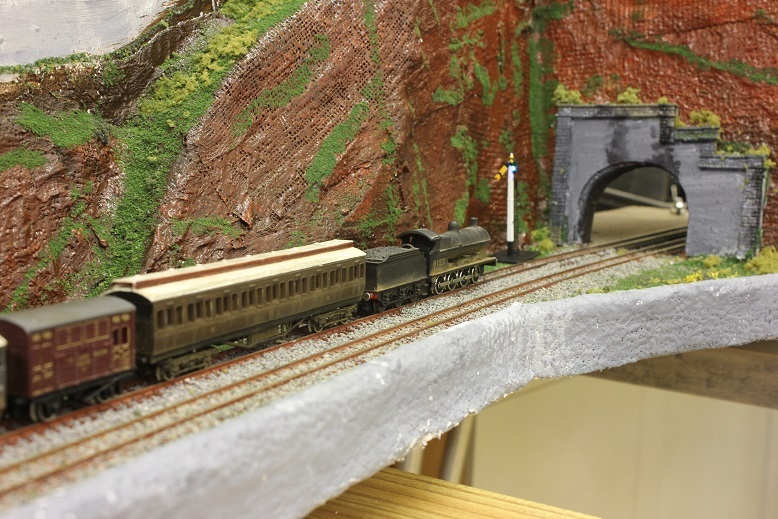 37698 prepares to depart with a china clay train. An overall View of South Terras.